Mirrored Memories offers a unique and magical experience for you and your guests. Our photo booth allows users to choose backgrounds, emojis, and even personalize their photo with a handwritten message through a touchscreen of colorful animations and entertaining voice guidance. Your guests get to walk away with their instant print, or we can direct them to paste it into your guestbook! The possibilities are endless! It can be placed anywhere at your event venue, so you just have to point at the spot you'd like us to set up, and we will handle the rest! 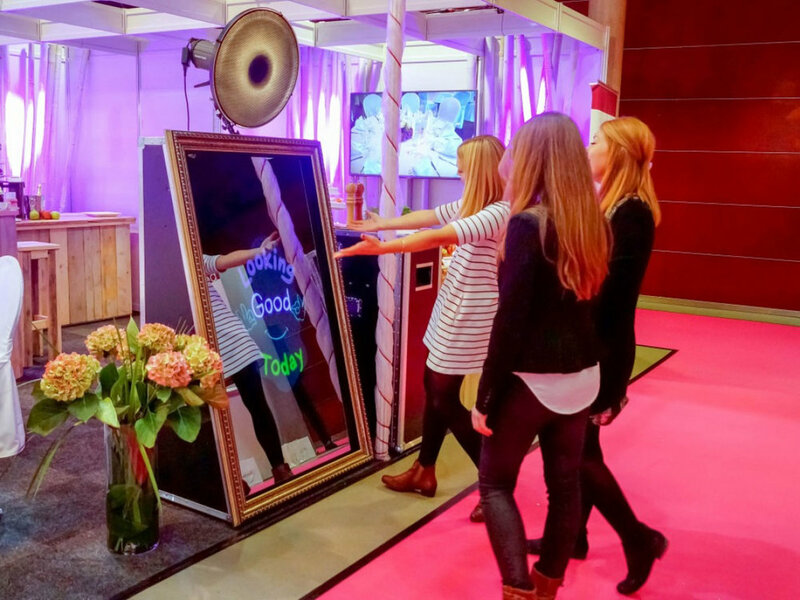 Our booth is loaded with the latest technology in selfie picture taking, and the full-length mirror offers a sleek design that can be decorated to blend seamlessly with your event. Our packages are competitively priced so you know you are always getting the best deal! Come out and check out the magic yourself at one of our open house events, or watch the videos on our page. Seeing is believing after all! It isn't too good to be true! We promise!